DEAR CINDY: Don't be too harsh on concrete and blacktop surfaces. Many people do not like the stark look of regular concrete, even if it has a handsome broom-finish or an expertly applied swirl trowel finish. Even the rich velvet-smooth appearance of a new ebony blacktop drive also can be a turn-off. 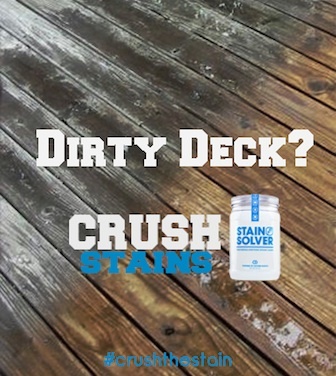 But keep in mind that both concrete and blacktop can be installed with faux finishes. They can be colorized and stamped with patterns that allow them to look like brick, cobblestones, stone, etc. Even on a cloudy day, my tar and chip drive looks so much different than the blacktop roadway. The driveway you want is at my own home. For the past 15 years, I have driven up and down my eye-popping tar and chip driveway. It looks exactly like - well, actually better than - the driveways leading up to the gorgeous castles and country homes featured in many British TV shows. Can you imagine a deep-brown colored gravel driveway? That is what I have. How about one that is light green, red or even buff colored. 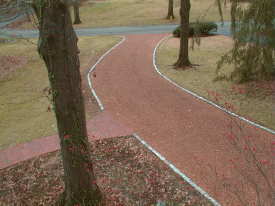 Would you like a driveway that had gravel chips that have multi-colored sparkling minerals in each stone? All of this and more is possible. Get the best-looking Tar and Chip Driveway around! Use my Asphalt/Blacktop/Tar & Chip Installation & Repair Checklist and learn what to ask your contractor. I offer a 100% Money Back Guarantee. Tar and chip pavement surfaces are nothing new. In fact, they have been around for well over 100 years. The blacktop you see installed today is a hybrid of traditional tar and chip. Many years ago hot liquid tar or asphalt cement would be sprayed on a gravel surface. Within minutes, small, clean and dry stone chips would be broadcast into the liquid tar. As the tar cooled, it grabbed onto each of the stone chips. 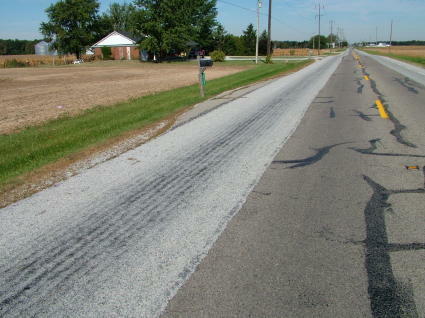 The resulting surface was nearly identical to blacktop that you see on many roadways around the nation. 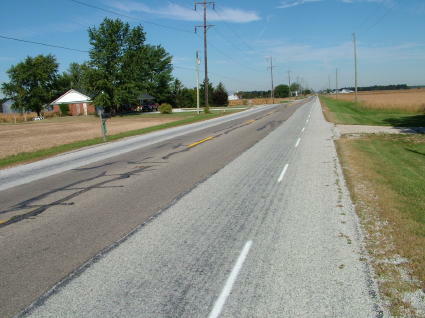 In fact, virtually every asphalt roadway or highway built in America prior to 1930 was done in this way. 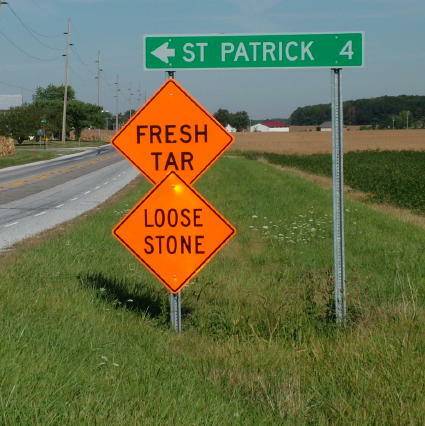 Many secondary county roadways are still paved with tar and chip. It is a time-tested paving method that is affordable and long-lasting. Would you like to have a gorgeous driveway? How about step-by-step photos and instructions that show you how I had my own tar and chip drive installed? If so, you might want my Instant Download Tar and Chip EBook. 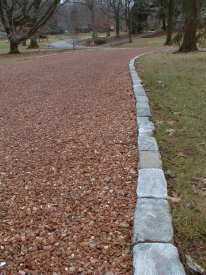 The granite cobblestone edging adds a distinctive look and keeps the chips out of the grass. But the tar and chip method of making roads was pushed aside by central mixed asphalt and blacktop plants. Blacktop today is made very much as is concrete. The ingredients are mixed at a central plant and shipped by truck to the jobsite. Blacktop can be installed in weather conditions that are not favorable for tar and chip. The installation season can be extended when using blacktop. Tar and chip is still done in many states, but it is not nearly as common as it once was. Click here to watch Tim describe his Tar and Chip Driveway. I am astonished at the enormous business opportunity that tar and chip driveways represent. Tens of thousands of people love the look, yet I find blacktop installers ignore this demand. The equipment needed to install the tar and chip surfaces is already owned by many blacktop contractors. For residential applications the only specialized piece of equipment is a truck with an insulated tank used for transporting the hot liquid tar to the jobsite. Onboard this truck is a small engine that is connected to a pump. The pump delivers the tar through a hose and nozzle to a trained operator. He carefully applies the hot tar to the gravel base and laborers broadcast the stone chips immediately into the liquid tar. Once all of the stone chips are applied, a powered roller no different than the one used for blacktop compacts the stones into the tar. New driveways require two applications of the tar and chips. The different colored stone chips are the hardest thing to find. Mine came from gravel pits in Missouri. Visit a progressive landscape supply store. Often they have different colored decorative stone chips for garden pathways. Locate the sources of these stones and see if you can't buy them in bulk quantities. The tar or asphalt cement is the easiest thing to find. 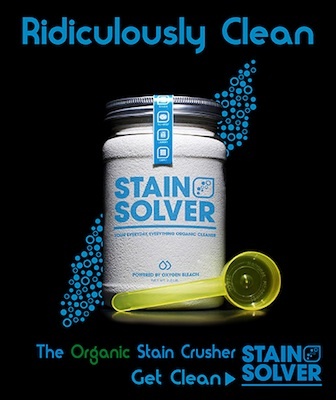 It is sold at just about any central plant that makes blacktop. This tar is the same ingredient used to make blacktop. Locating a tar and chip contractor is done one of two ways. 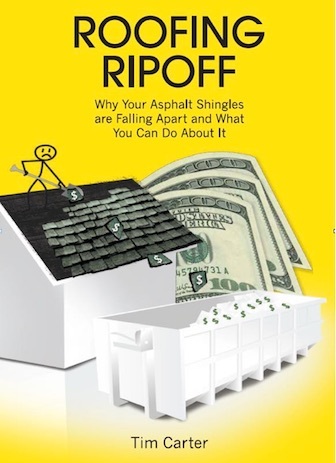 Open your Yellow Pages and call each and every blacktop contractor. If you strike out, contact large paving contractors who do public roadways. They just might have a division that does smaller commercial or residential tar and chip jobs. Finally, contact the blacktop plants. Any contractor who does tar and chip must buy their tar from these businesses. Call the plants on a rainy day when they are slow. Don't bother them on sunny days when the demand for blacktop is high. This photo was taken on September 22, 2004, on State Route 29, just northwest of where Route 29 passes over Interstate 75. People out West see these signs each summer. This is a rare situation where you can see the old road surface - in the center of the road - next to a fresh tar and chip application. The new tar and chip surface starts at the edge of the road on each side and extends towards the centerline about 6 feet in each direction. I assume the road crew is coming back to coat the center of the road. You should be able to determine that the thickness of the new tar and chip is no more than 1/2 inch. But it will wear like iron for perhaps 7 - 10 years. I can't say enough good things about tar and chip. It is an excellent surface for moderate to lightly traveled roadways. Are you worried that a couple of thin layers of tar and chip can't support the weight of trucks? This fire engine is parked on my driveway and its wheels are not sinking a fraction of an inch. The truck weighs 50,000 pounds or more! 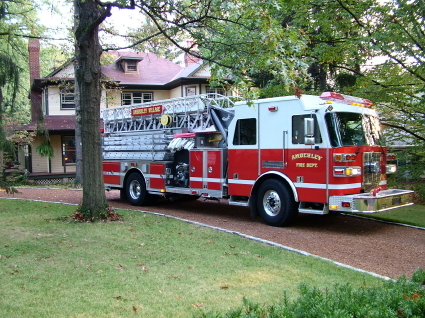 It is a combination aerial ladder truck and 1,500 gpm pumper! It also carries 500 gallons of water. Just the water alone weighs 4,144 pounds. Remember, tar and chip and blacktop driveways gather their strength from the crushed gravel base beneath the finished surfaces. I have contracted a company to refresh my tar and chip driveway. I cut a nice clean edge and would like to place a brick border to keep the driveway lines looking clean. What is the best way to install the brick borders? I am perplexed as the driveway side will not have anything to keep them in place.